Join us for an Old Fashioned BBQ on September 17, 2017, 1-4 PM, at the St. Nicholas Church Grounds, 525 St Louis Ave., Egg Harbor City. Come to our annual Parish Festival to meet and greet our new pastor, Fr. 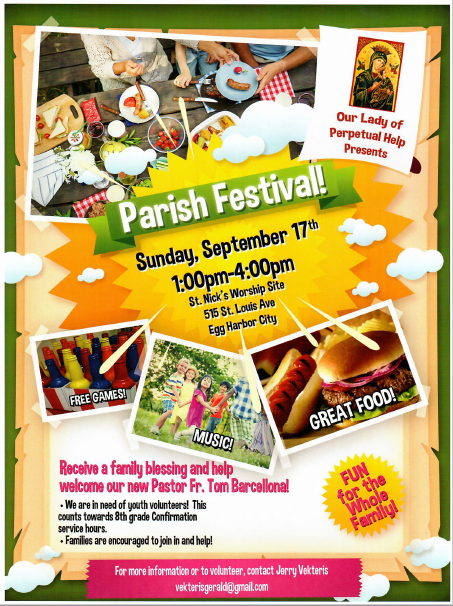 Tom Barcellona, and enjoy a fun day with your fellow parishioners. 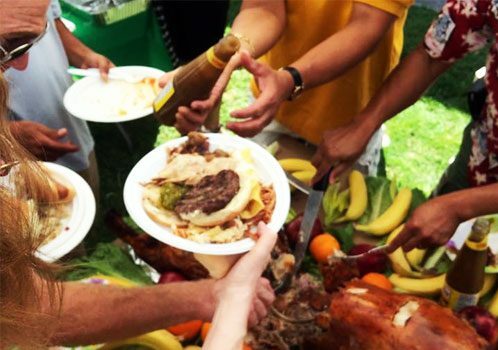 MAIN MENU: Hamburgers, veggie & turkey burgers, hot dogs, salads, ethnic foods, desserts, soda, water, ice tea, lemonade, hot coffee, and tea. Beer & Wine Garden (Over 21 only). Click here to sign up to volunteer at the festival. If you can help with any of the above, please call the parish office and leave your name and phone number and how you can help. Someone will get back to you. Click the flyer for a larger, printable version.